In 2008 the tar sands of Alberta posed a serious threat to the climate in that they were the third largest oil reserve in the world, and would require the destruction of a native boreal forest the size of Florida. The “oil” or bitumen that would be produced from the tar sands was determined by experts to be among the most carbon intensive in the world. 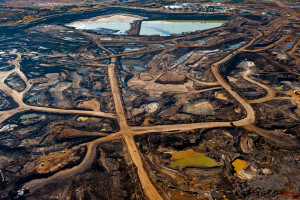 The oil industry in Canada projected massive expansion of the tar sands from under two to over six to eight million barrels a day. CEI joined with dozens of Canadian advocacy groups already working against tar sands expansion and helped bring additional support to the campaign from groups in Europe and the United States who were fighting oil issues in their countries. We also advised foundations in Europe and the U.S. that were already dedicated to slowing the production of oil worldwide on how best to address this emerging new threat to climate. The resulting campaign successfully educated citizens about the harmful impact of tar sands expansion to our climate, native forests, and First Nations’ sovereignty. It drew attention to the excessive political power the oil industry in Canada and the U.S. exercised over federal and some provincial and state governments. Together we successfully persuaded President Obama to block the approval of the Keystone XL pipeline and publicly declare that to avoid catastrophic climate change, some oil must stay in the ground. He also took other policy actions to reduce U.S. oil production like limiting oil leases on U.S. public lands, the Arctic and coastal Atlantic Ocean, and parts of the Gulf. As hoped from the beginning, the tar sands campaign spawned a broader and more diverse climate movement that went beyond the tar sands to challenge the expansion of U.S. oil production in the Bakken Reserve, oil drilling in the Arctic Ocean, oil fracking in states like New York, California, and Colorado, proposed natural gas and oil pipelines throughout the U.S., as well as the expansion of railroad infrastructure that would accommodate new oil production in the U.S.